Welcome to the Family Hearing and Tinnitus Clinic at Caloundra, Sunshine Coast! We are experts in hearing care and tinnitus relief. We provide quality care which is affordable and evidence based. 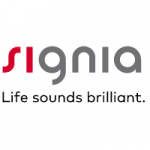 We have extensive experience in tinnitus relief, diagnostic assessments of hearing for adults and children, pre-employment and work place assessments, and hearing aids fitting and adjustment. We pride ourselves on a holistic approach. We are an independent audiology practice and are happy to provide obligation free advice or second opinion. 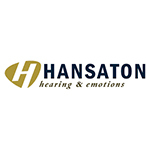 We provide extensive aftercare and support to all our hearing aid recipients. We have nearly 19 years in paediatric assessments and can provide advice regarding the impact of your child's hearing or listening impairments on his/hers education and development. Twenty years, plus experience in hearing aid fittings of all brands and manufacturers and hearing aid adjustments. Family Hearing and Tinnitus clinic is an ACCREDITED CLINIC to provide services to clients under the Australian Government Hearing Services Program (Free hearing test and hearing devices). Comprehensive and age-appropriate hearing assessments for children from 6 years of age. Comprehensive hearing assessments in our sound proof booth and results thoroughly explained. Hearing aid fittings, adjustments and after care. Hearing Instruments and home audio for television, Specialized wireless headphones. Personal and adaptable to your listening needs. Rediscover the pleasure of listening. Central Auditory Processing for Children and adults.